Our organization has numerous chemists and medical experts, who have invested immense time and efforts in a bid to develop an effective range of Herbal Medicines. Since our entire range is all natural, these can be utilized by our clients, without a proper medical prescription. Being an affluent organization, we are manufacturing and supplying a premium quality range of Kayakalpam Herbal Medicine. Our offered medicine is highly effective for improvising health stamina, strength, vigour and vitality. These provided herbal medicines are fabricated at our state-of-the art infrastructural unit availing ultra grade of raw material and high tech technology. Our clients can avail these products within the promised time-frame from us. 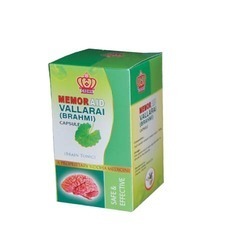 We have attained huge acceptance as reliable firm offering multifarious Memoraid Vallarai Capsules. These capsules are used for memory power enhancing of people specially school going children and can be consumed by people of all age group. With the strict adherence to quality, we are able to make defect free delivery of these medicines to our customers with ease. Apart from this, these products are supplied in the market at reasonable price tags. Like palm Jaggery, palm candy has also its importance among the products of palm.It is being produced and used since procuring sweet from palmyra has been known.It has got its various uses in Ayurvedic medicinal preparation as well as direct use. A flavored and delicious health drink mix containing traditional herbs well known for respiratory health care. Cures conditions of common cold, cough, sore throat, sinusitis, loss of appetite, indigestion and flatulences . Direction for use: Add 2 tablespoon of this instant mix to lot of warm water/ milk/ tea/ coffee, stir well and drink. No need to boil or filter (As this is an instant mix). Can be consumed along with honey too. Suitable for all ages. Helpful adjuvant for growing children. Can be used twice a day. 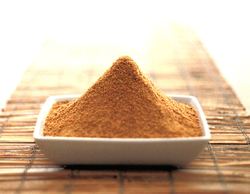 Ingredients: Palm sugar, dry ginger, pepper, turmeric, cardamom, cinnamon, long pepper, mulethi, kulanjan. Looking for Herbal Medicine ?